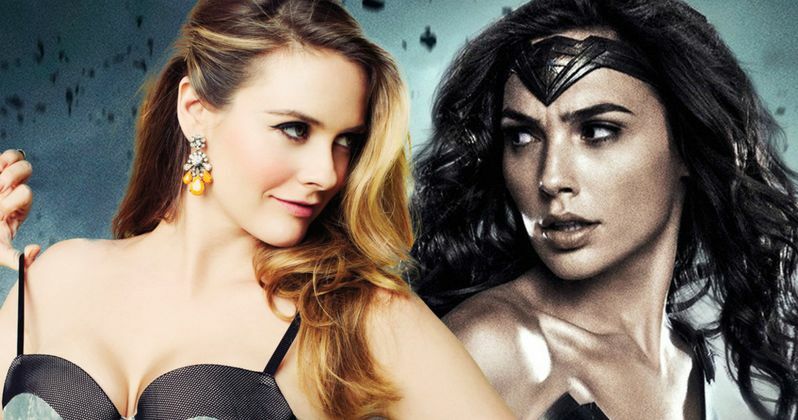 Clueless star Alicia Silverstone seems to be a bit clueless when it comes to the success of Wonder Woman. DCEU's Wonder Woman is enjoying great success this summer, breaking records for female directors while also breaking records from within the DCEU, beating all those previous movies at the box office in a relatively short amount of time. Much of the success is due to word of mouth spreading that the movie is actually good, a good comic book movie that stands on its own with an emotional arch that is touching people in a real way. While almost everybody in Hollywood is praising Wonder Woman, some are a little indifferent about the accolades that the movie has been receiving. Alicia Silverstone recently sat down with Variety and talked about the success of Gal Gadot's Wonder Woman among other topics. 40-year old Silverstone shared her thoughts about Gadot's performance being heralded as pioneering for women in Hollywood. Silverstone says this. "Before Wonder Woman... Wonder Woman? Before Wonder Woman there have been many movies with female leads, so I get a little confused. We have made many strides, of course. I think about, what about all of those wonderful comedians who are females who have had massive hits? There's Bridesmaids." Silverstone went on to add her own achievements into the mix, which is totally warranted, to further her point. "I don't know. I feel like, over the years, there was Mean Girls, there was Clueless, over time we had so many movies that have been female-driven." Alicia Silverstone is 100% correct, but much of the acclaim for Wonder Woman has been more about females in a mostly male dominated comic book world, not necessarily for female-driven movies as a whole. And when looked at through the lens of a female-driven super hero movie, it deserves all of the accolades that it receives. Maybe the former Batgirl is a little jealous that her super hero movie wasn't praised, like at all by anybody. Joel Schumacher has publicly apologized for his work of art known as Batman and Robin, aka the worst Batman movie released to date. The actress is of course entitled to her own opinion and Wonder Woman isn't for everybody. Apparently Silverstone seems to be more than a little turned off from the large production values of the summer blockbuster. Silverstone explains. "It has to be Wonder Woman. It has to have tons of flash, right? Like when you're looking at children's films now, as a mom, I don't want my kid to see that. Loud effects, all that stuff that's like stimulate, stimulate! But that's what audiences want, so it's a tricky thing. Sometimes it's just the quieter more interesting things sometimes get seen because they touch someone enough." Again, Alicia Silverstone is entitled to her own opinion, but it really seems as if she hasn't even seen the movie and she's judging it off of the trailers. While there may be some confusion on why Wonder Woman is such a trailblazing hit, moviegoers and critics are not confused in the slightest. Later in the interview Silverstone mentioned that she'd like to possibly play Batgirl again and from her description of what's wrong with Wonder Woman it's pretty clear that that would be a pretty lackluster idea without much stimulation. Joss Whedon, if you need a new Batgirl, hit up Ms. Silverstone, she thinks that she can do it better 20 years later.